Mottled gold and green leaves with flowers that are decorated with buttery yellow petals and fire engine red calyxes are a stunning combination! 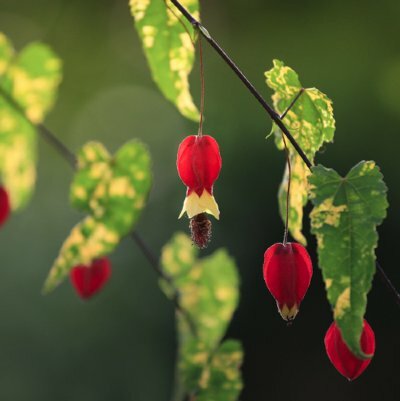 All our 'Chinese Lantern' Abutilon Plants are grown and shipped in fine quality growing medium. They are guaranteed to arrive alive and ready to plant.